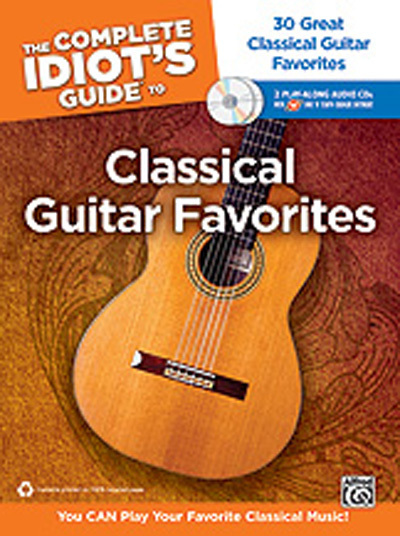 The Complete Idiot's Guide to Classical Guitar Favorites is perfect for any pop, rock, folk, or blues guitarist who wants to explore classical music. Thomas Kikta of Duquesne University will teach you classical fingerstyle technique in the context of some of the most beautiful classical guitar repertoire ever assembled. Music in written in standard notation and TAB.This book comes with two enhanced CDs that contain recordings of every piece and software that lets you play along, slow tracks down, and loop sections for practice. Composers covered include Sor, Carcassi, Bach, Aguado, Tarrega, Albeniz, Pachelbel, Mason Williams, and Jay Ungar.